Mātauranga Māori curator Matariki Williams discusses the role of curators healing past wrongs, something being addressed in Te Papa's new exhibition about motherhood and Māori women. At Museums Australasia last year, a conference convened by the New Zealand and Australian museums associations, visiting Metis academic and artist David Garneau interrogated the etymology of the word ‘curate’. Garneau delicately took us back to the Latin root word, ‘cura’, meaning ‘to heal’. Building on this reflection is the suggestion that the work we do as curators, alongside colleagues elsewhere in the museum, can alleviate past wrongdoings. To speak broadly of a Māori experience of these wrongs, there is the history of being collected, catalogued, and curated with no respect given to our own mātauranga, or influence in how we are represented. It is within this history that we, as Curators Mātauranga Māori at the national museum, work. We have inherited not only a rich collection within which we can research but the corresponding legacy of the establishing collectors, who were for the main part European men. Generally speaking, much of the collection is unprovenanced, meaning that details relating to the original owners of the taonga were not recorded. The collection is also very masculine, represents older generations, and contains a lot of taonga of high status. What this means is that the lens in which we look back on our tipuna is influenced by what we see in the collection, making it difficult to ascertain what everyday life was like in relation to our pēpē. This latter point is one of the reasons why my fellow Curator Mātauranga Māori, Migoto Eria, and I chose to include a wahakura in the exhibition just opened at Te Papa called Te Ringawhatuora | Weavers of Wellbeing. Inspired by the atua wahine Hine-te-iwaiwa, Te Ringawhatuora celebrates womanhood and Māori women, who give birth to and nurture tamariki. In te ao Māori, family and weaving are closely intertwined and Hine-te-iwaiwa is the guardian of both whakatupu tamariki and Te Whare Pora – the house and art of weaving. The wahakura is the modern adaptation of the porakaraka and was first designed and woven in 2006 by the Nukutere Weavers Collective of Gisborne. The porakaraka is described by ethnographer Elsdon Best as a form of cradle designed to be suspended, for example, from rafters; it also included a trailing cord by which the caregivers could gently swing the cradle. With the passage of roughly a century, parental needs and child-rearing habits have evolved, and the design of the wahakura is responsive to the needs of modern-day parents who wish to sleep closely to their babies. In a recent trial published on the Whakawhetū – Mokopuna Ora website [PDF, 952 KB], further reasoning behind the development of the wahakura is explored, and the higher rates among Māori for Sudden Unexplained Death of an Infant (SUDI) are attributed to the higher rates of maternal smoking and bed-sharing. The wahakura itself is designed for babies to sleep in up to the age of six months, the high risk period for SUDI. In our exhibition, we have included a wahakura made by a local Wellington weaver, Takiri Cotterill. Takiri is part of a weaving collective, Te Roopu Raranga o Manaia, which has been meeting on a weekly basis since 2011 and is generously supported by the Wellington Tenths Trust and the Palmerston North Māori Reserve Trust. The collective become interested in weaving wahakura after some members became grandparents and have developed a few designs of wahakura. Te Ringawhatuora includes their ‘Waikawa’ design, which can be made by an experienced weaver in about five hours, it has a strong construction, and follows the design principles of the functional kete kai, storage kete, and the humble kono. Our inspiration for the taonga in the Te Huka a Tai discovery centre cases came directly from our children. On a whānau tour of two of the taonga Māori storerooms, our siblings, partners, and parents were shown around taonga representing centuries of history. Meanwhile, our kids were enthralled by a box of a model pā that just happened to be on a desk. Their delight at what they had found, and how easily it captured their imagination, was a clear reminder that children will subvert what is offered and find their own fun. It was this reason that we chose to include one of the Dominion Museum education boxes that we have in-house. 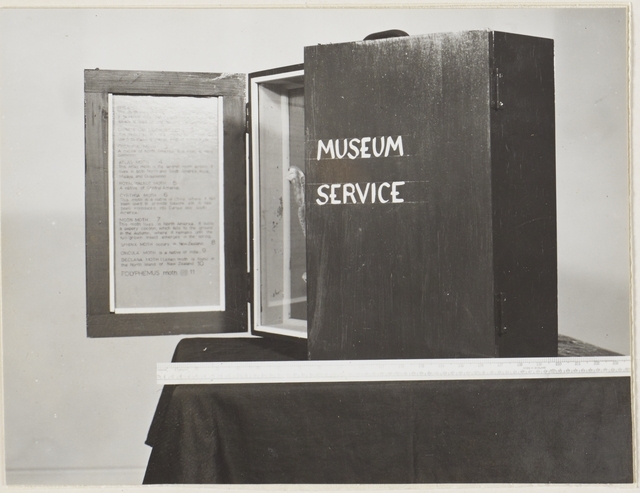 To read more on the history of the travelling museum boxes, this is a great overview. 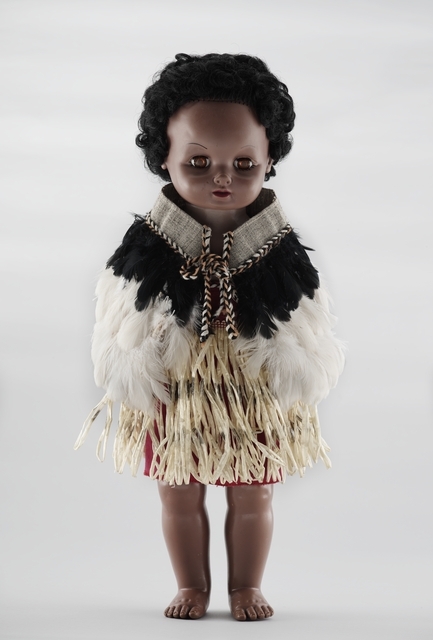 Including taonga that command such a physically inviting presence is admittedly a bit cruel given that our visitors will be unable to touch them; however, the Māori dolls in the collection are so captivating that we had to include them. Displaying the beloved Manu from Playschool in the exhibition in our Te Huka a Tai children’s area, resplendent in her very own kākahu, gave the writing team the idea for her to address the children directly. From what we can tell, the exhibition is the first time that Manu has been exhibited wearing her kākahu and piupiu, and having Manu tell visitors who she is while using a mixture of te reo Māori and English is a gratifying expression of her identity to children. Our work as Curators Mātauranga Māori, and what we uncover through our research, goes some way to heal the gaps in knowledge that appeared due to the development of a collection that omits so much of our history. By focusing the exhibitions on the wonderment of children and the aroha bestowed upon us by the goddess Hine-te-iwaiwa we have shone the light on an aspect of te ao Māori that is central to our collective wellbeing. Through the taonga chosen for display we provide examples of innovation and adaptation by which our culture has survived. By holding the curatorial power we make the commitment to continue to heal these gaps through targeted collecting, sharing of kōrero and telling our stories from our own perspectives.